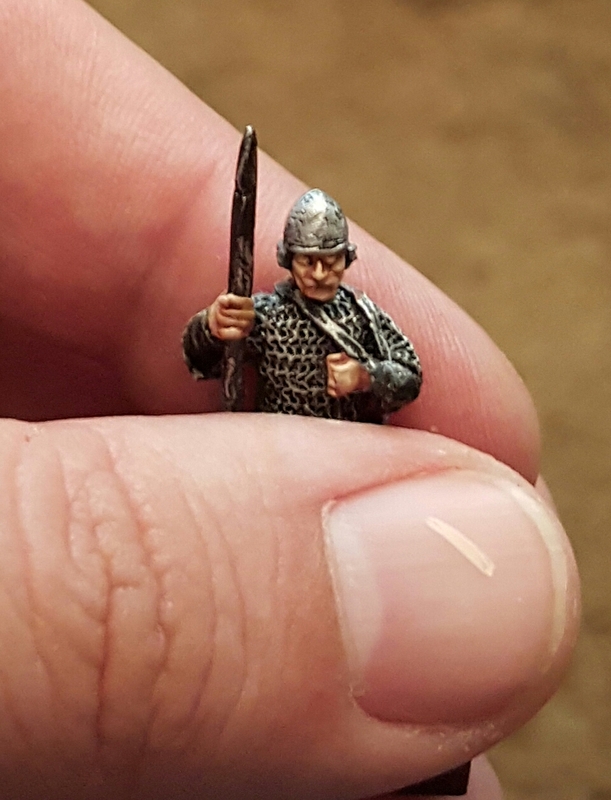 15mm has been rough on my eyes lately, so I switched gears over to my long belabored 28mm Perry Crusader figs. This era has always appealed to me in a larger scale and I’ve had them sitting around for a while. 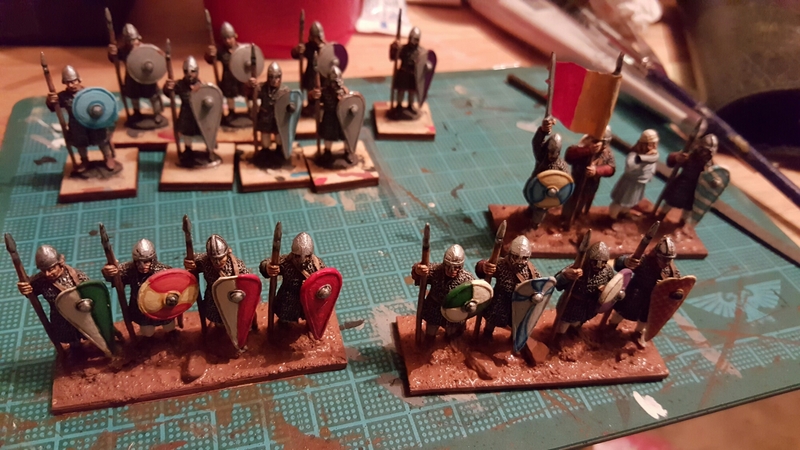 28mm is on the rise for ancients, given all the great sets available to assemble and paint, so in my efforts or organize players here in Jersey, I plan to paint all of my crusade era figs in 28mm. I originally intended them for Wargamer Ancient Battles, but that rule set is no longer produced and supported. 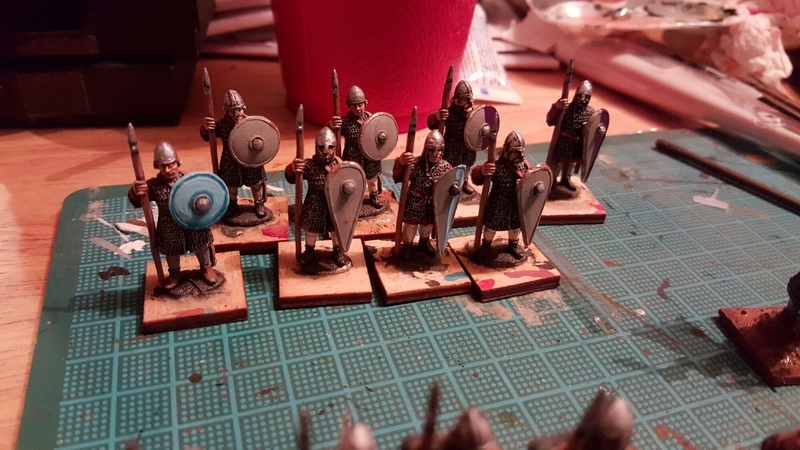 I just need to base and finish the shields on my last two spear elements and I’ll be ready to move on to either a horde element with either pilgrims or Syrians, or knights. Here is a link to the ones that were finished for WAB.